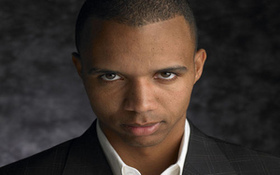 It would be hard to steal the headlines away from the first day of the 2011 World Series of Poker, but Phil Ivey managed to do just that after talking for the first time about Black Friday via his official Facebook page –the post was corroborated by WickedChopsPoker.com and BluffMagazine.com who authenticated that Ivey was the author. The two main parts of the post are 1) that Ivey is “disappointed and embarrassed” by Full Tilt Poker’s handling of withdrawals post-Black Friday and has filed a lawsuit regarding the frozen accounts, and 2) Ivey is skipping the 2011 WSOP until the matter is settled and players have their money back. This entry was posted on Wednesday, June 1st, 2011 at 11:25 am and is filed under Poker News. You can follow any responses to this entry through the RSS 2.0 feed. You can leave a response, or trackback from your own site.